Lyzabeth Lopez Online Training And Diet Review! When a little while back Khloe posted this video of Lyzabeth Lopez, I KNEW I just had to check her out. I mean if Khloe is bragging about her, this girl must be something special! And indeed, she is! Upon checking out her IG profile and website, and seeing all the great befores and afters, I decided to delve in and become a #TWL girl! 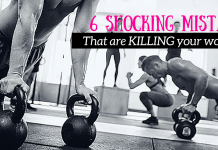 Upon joining, I was hooked up with a login to the TWL site where I had access to Lyzabeth’s holistic meal plans, 30 days of workouts, a cheat sheet, success tracker and informative video seminars. I was surprised by the amount of content and support provided! I mean in comparison to most other online programs, Lyzabeth’s is much more in depth. There are instructional videos that guide you on how to do each exercise and a detailed plan on what and how much to do each day. There is even a cardio guide that explains what type of cardio to do each day to optimize your results. Lyzabeth’s online program, better known as TWL or trainwithlyzabeth comes with one of 5 holistic meal plans: vegan, vegetarian, classic (weight loss), muscle building and hypothyroid. I chose the classic plan as I was mainly looking to lose weight and definitely do eat meat. Admittingly I was pleasantly surprised to find out that she offers meal plans not just for meat easter but for vegans and vegetarians. Guess it pays to be a holistic nutritionist (Lyzabeth is a Registered Holistic Nutritionist and a Master Trainer)! I followed the diet and meal plan for a good 10 weeks, doing my best to keep to the chart and meal options. I found the meal plans easy to follow and like the fact it was not gimmicky and void of weird diet foods. The best past is I did not feel hungry or like I had to become a rabbit to follow her meal plans. The meals and recipe (did I mention the recipes are INCLUDED?) are super simple, fun and easy to prepare. She even includes pre and post workout snack ideas like her power ball recipe. Admittedly the workouts were sometimes as struggle! With TWL, each day is organized and centered around a muscle group (lower, uppers, abs, etc), meaning each day all the exercises target one muscle group. On average, I spent 50 minutes to 90 minutes in the gym completing the day workout. Who said #gains come easily? Most of the workouts are tough but in the same sense challenging and fun. For me, it felt gratifying to be able to finish the workouts! Like every time I completed a day, I felt proud and accomplished. Lyzabeth’s instructional videos that explain how to complete each workout definitely go long way! 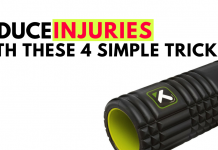 The videos demonstrate how to do each exercise in good detail….and yes you can watch it several times if you don’t get it the first time. I particularly like this aspect of the program as many of the other online program do not provide videos or much instruction. I do think the workout are challenging but they also got me RESULTS! Lyzabeth uses a wide repertoire of exercises making the workout fun and creative. No wonder Khloe is a fan! 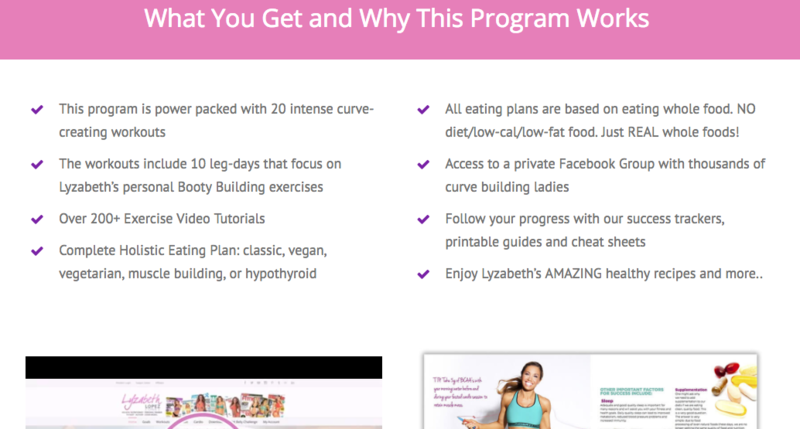 Lyzabeth’s online training program is definitely worth buying! I would give this program a solid 5 out of 5 stars. The workouts are fun, challenging and creative. My fave part of the program is that it comes with instructions so you are never left hanging! You are provided with a meal plan, a success tracker, 30 days of workouts, cardio guide.. Essentially everything you need to get to your goals! There is even an online community where you can ask Lyzabeth and other members of the program questions!